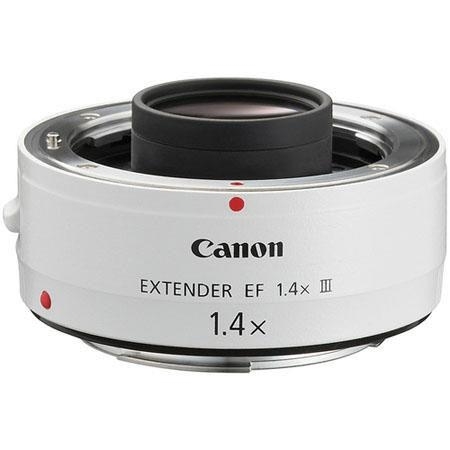 a 1.4x extender (also commonly referred to as a teleconverter) makes a Canon EF 70-200mm f/2.8L IS II USM Lens into a 98-280mm f/4 IS lens (yes, IS still functions normally on all compatible IS lenses). A Canon EF 70-200mm f/4.0L Lens mounted over a 1.4x becomes a 98-280mm f/5.6 lens. A Canon EF 300mm f/2.8L IS Lens becomes a 420mm f/4 IS lens.